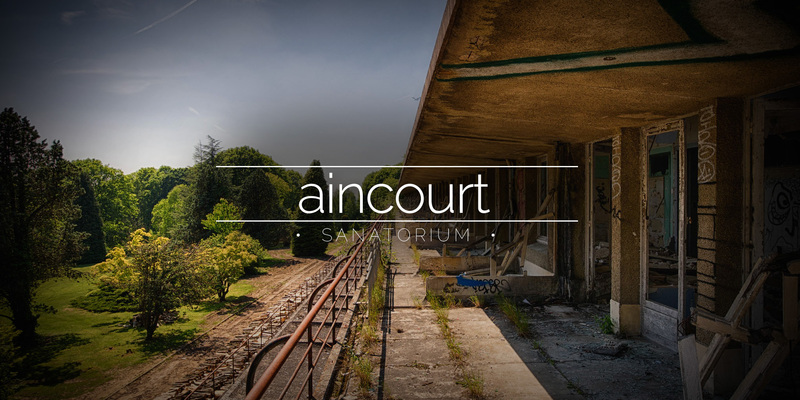 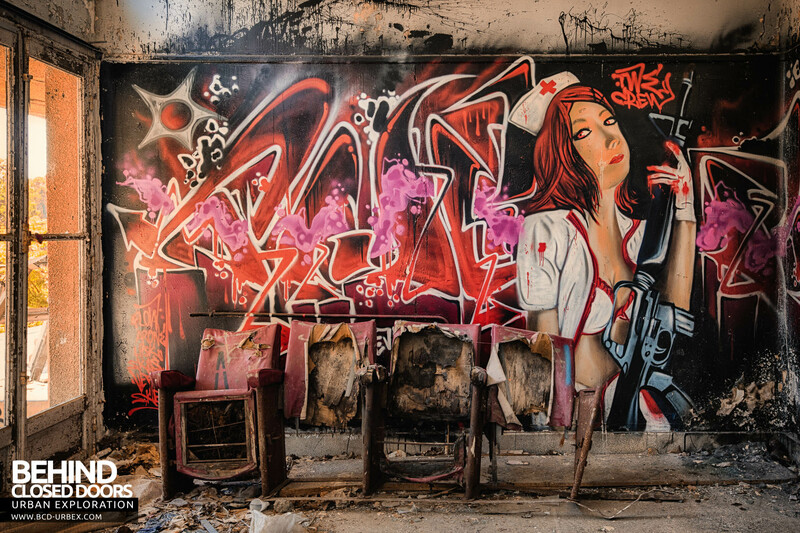 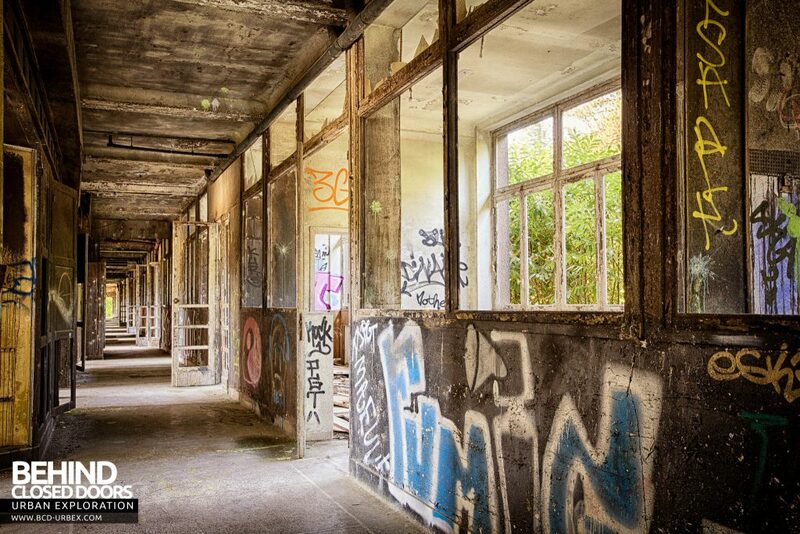 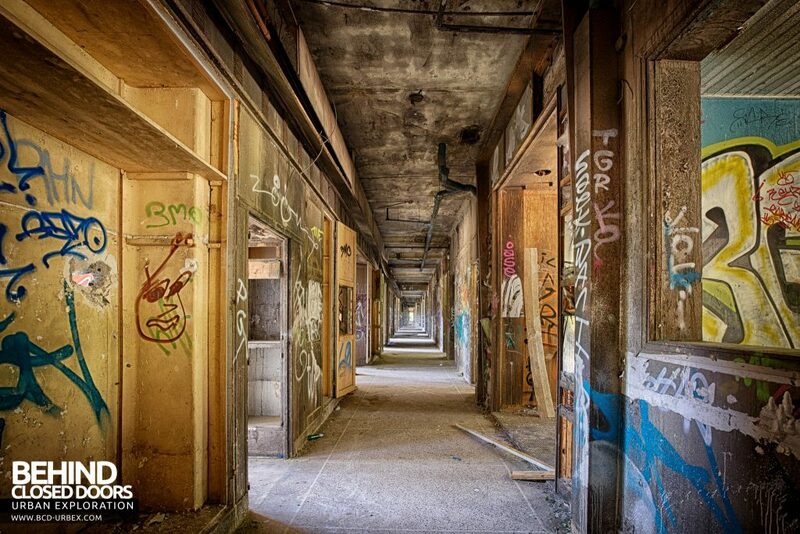 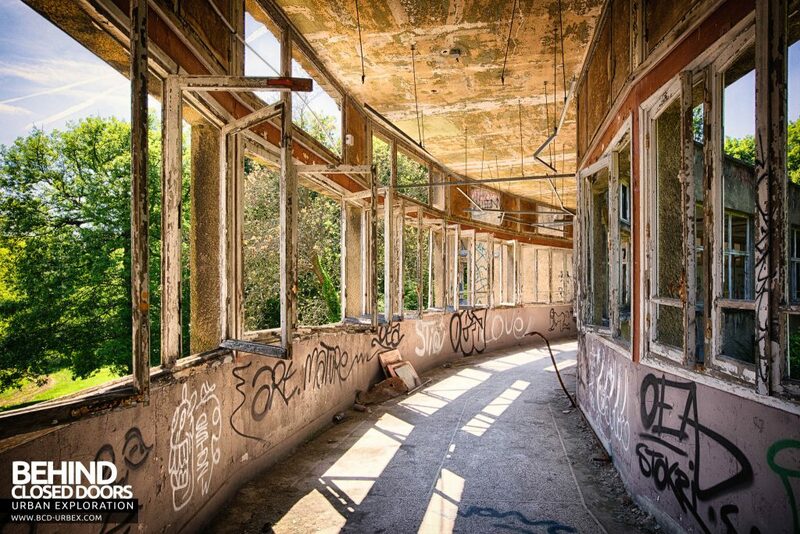 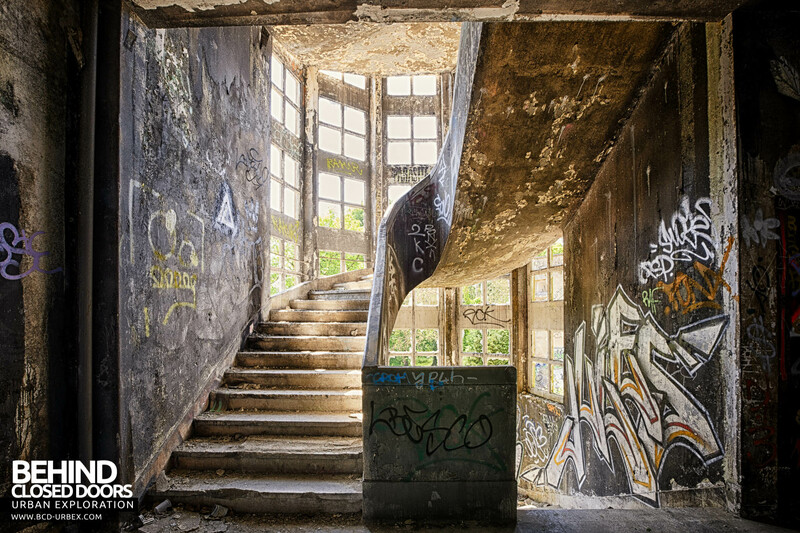 Le Sanatorium d'Aincourt was a hospital specialising in open-air treatment for tuberculosis. 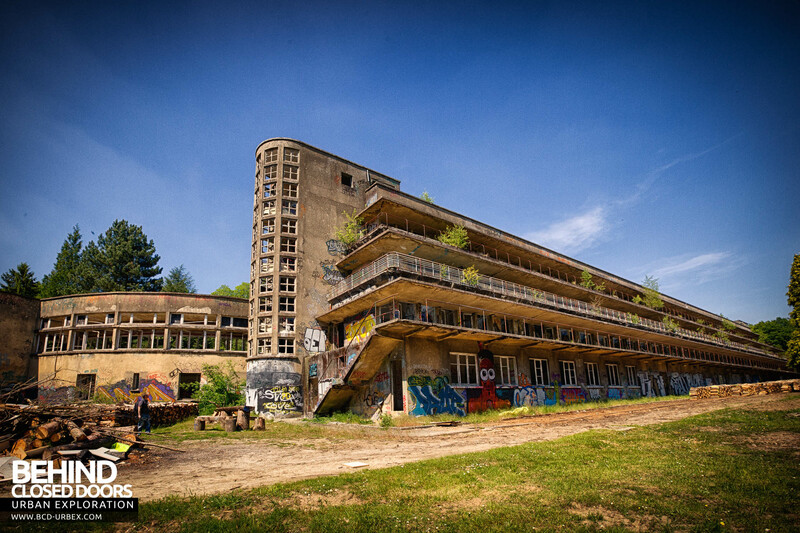 It was the largest such sanatorium to be built in France. 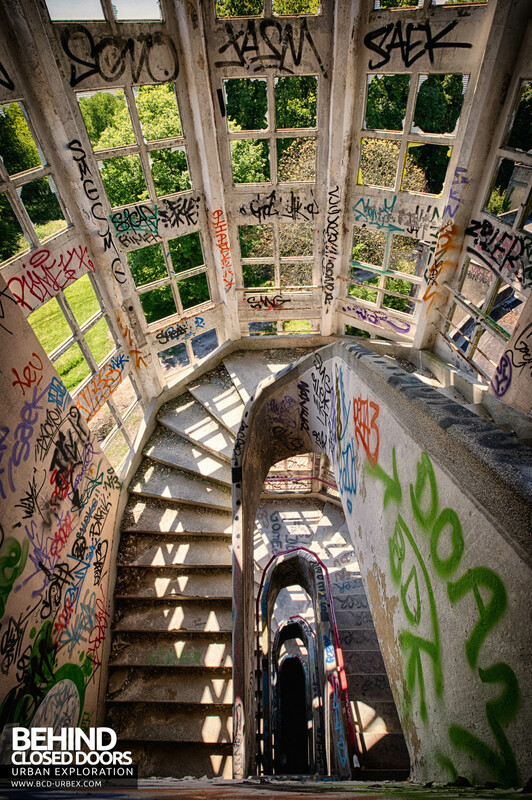 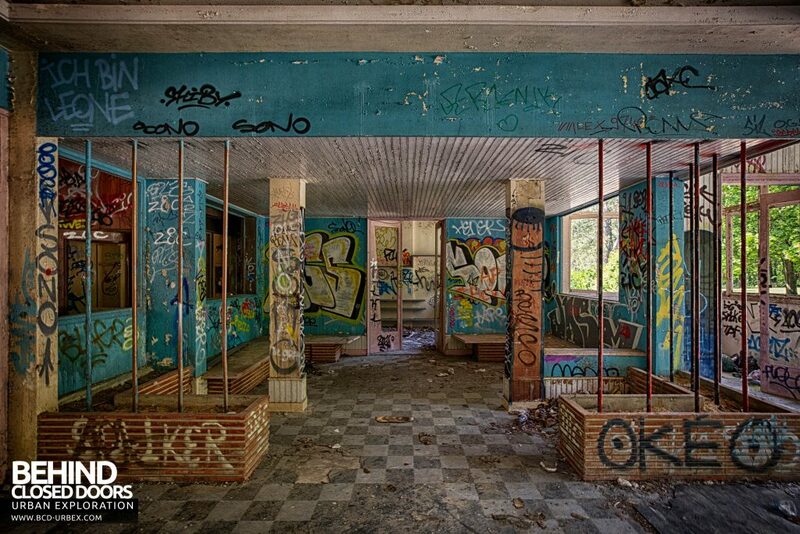 Le Sanatorium d’Aincourt, aka Fleurs de Ruine was a spa centre in France, specialising in the treatment of tuberculosis. 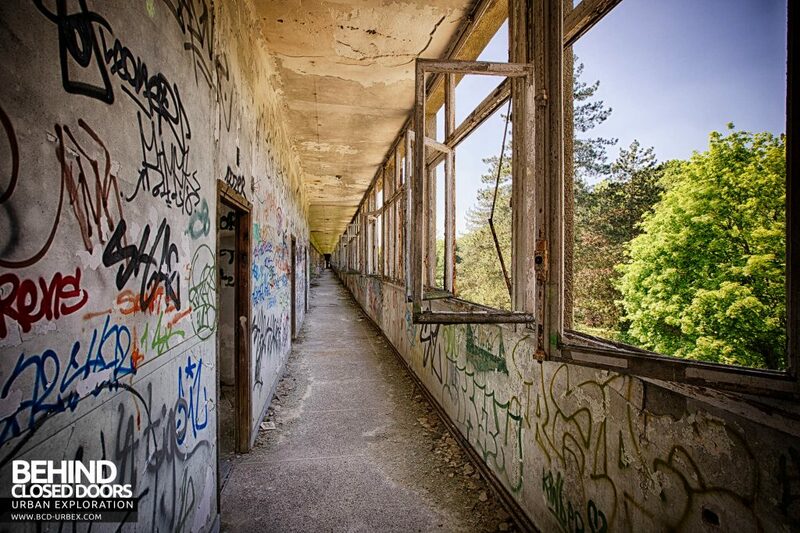 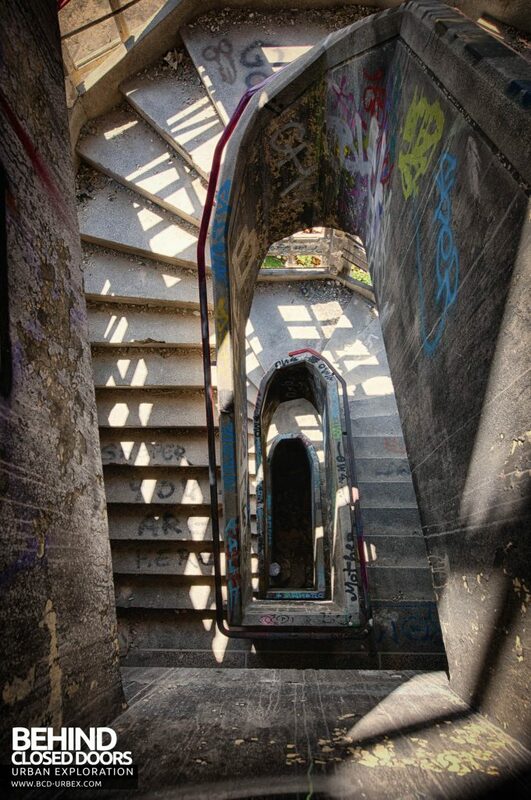 The sanatorium was built by architects Edward Crevel and Jean-Paul Decaux between 1931 and 1933. 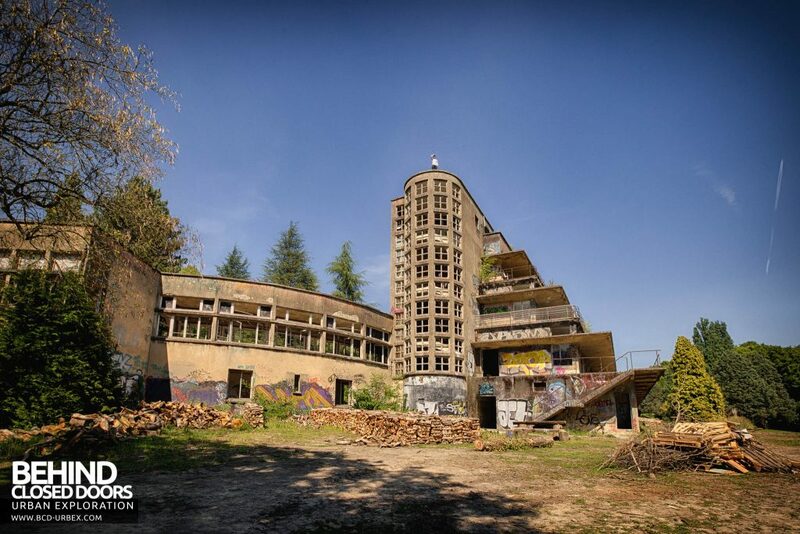 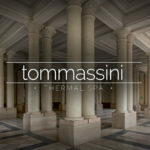 It is the one of the largest sanatoriums to have been built in France in the 20th century. 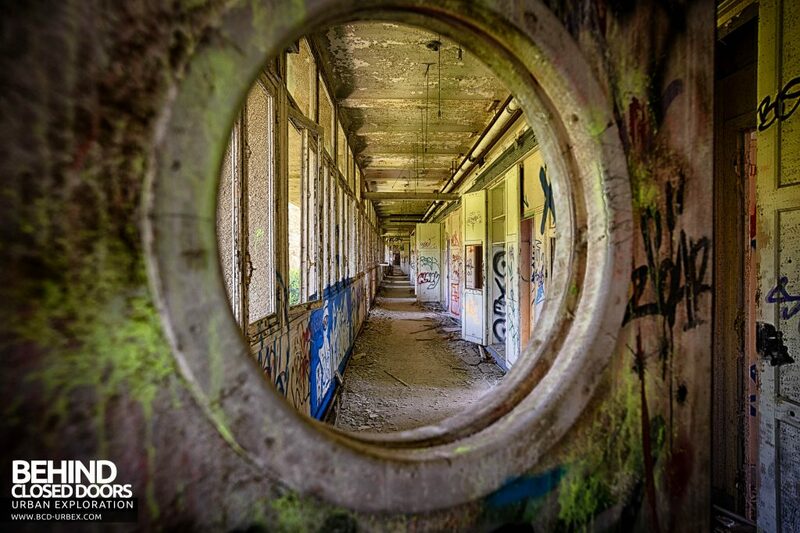 At the time, the main treatment for tuberculosis was fresh air and rest, as antibiotics did not exist. 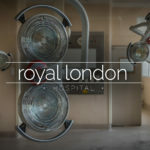 The buildings were designed to maximise open-air treatment areas, by utilising a tiered design and rooftop terrace. 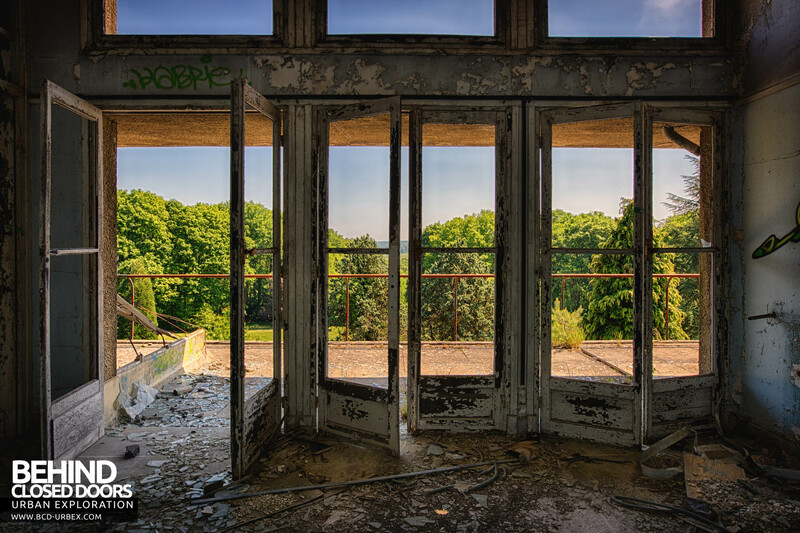 Each level has a terrace of continual treatment space, which was divided up with frosted glass panels. 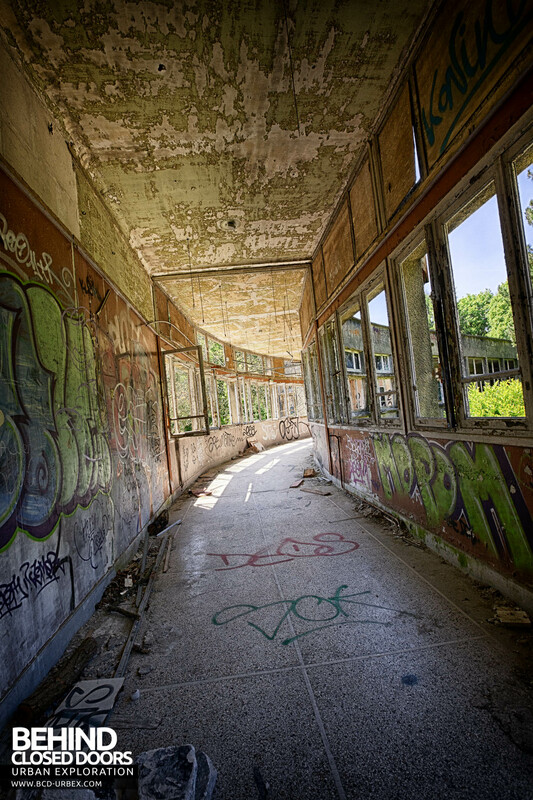 There were three identical buildings in total, each set 400 metres apart from each other to eliminate the risk of an epidemic spread. 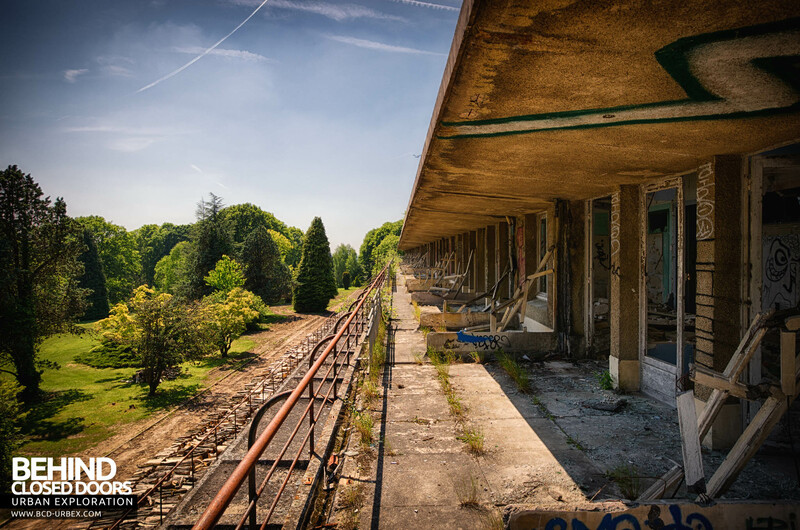 A forest of pine trees was planted around the hospital to ensure the air quality was the best possible. 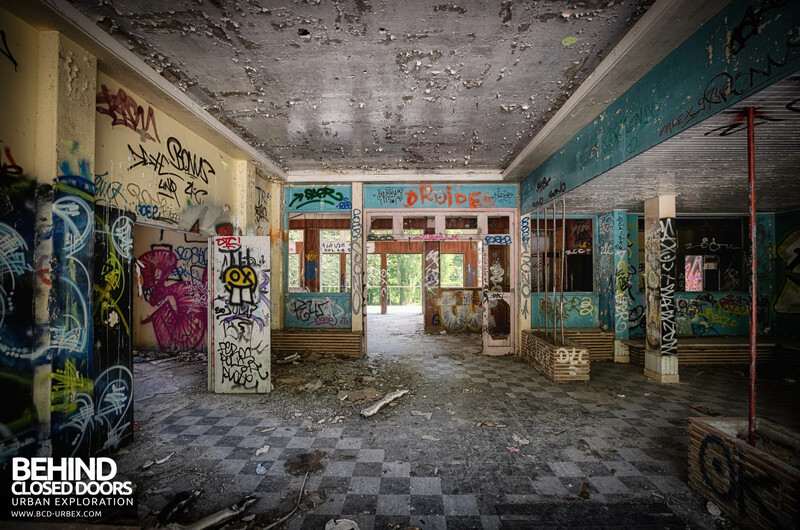 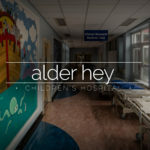 In later years the hospital was refurbished to bring it up-to-date with new standards, as the invention of antibiotics had ended the need for traditional treatments. 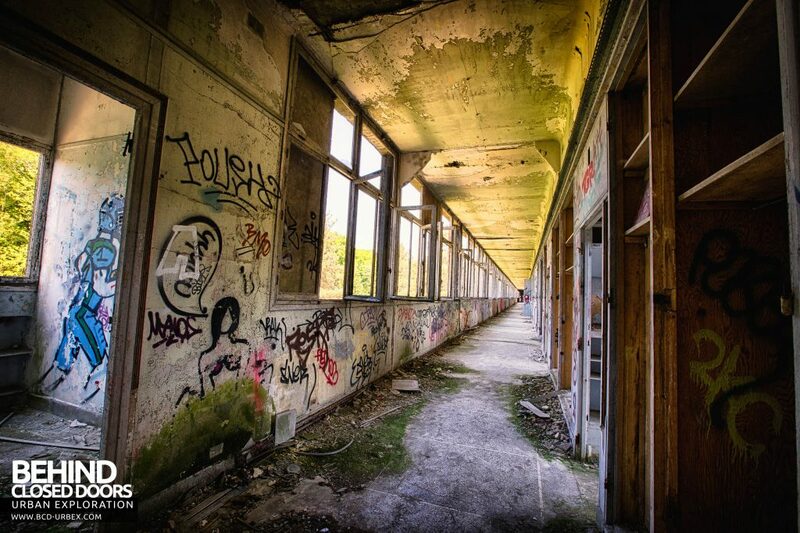 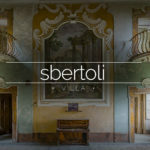 The hospital closed in 1987 and the buildings were plundered of anything of value. 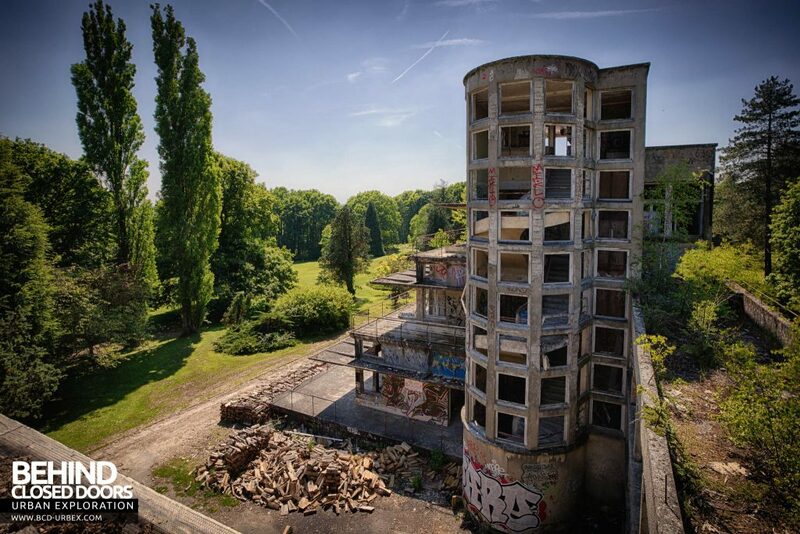 Now stripped, the shell of the buildings are testament to the quality of the design and construction, surviving well despite the ingress of water and use by the fire brigade who have used the buildings for training involving large-scale indoor fires. 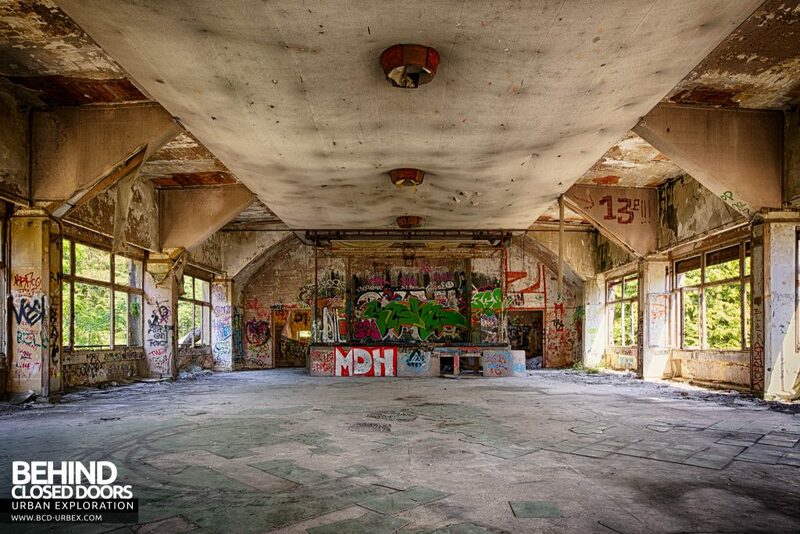 I enjoyed this visit in the company of Proj3ct M4yh3m and Darbians. 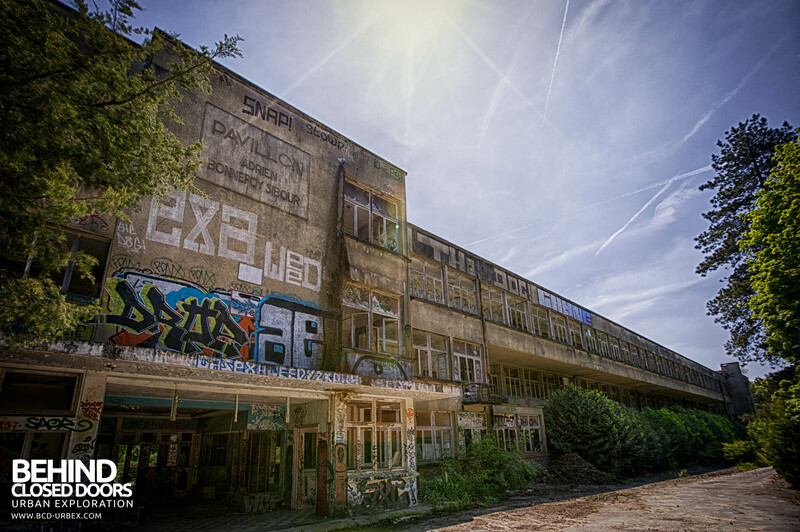 It was such a lovely sunny afternoon, perfect for a relaxed mooch. 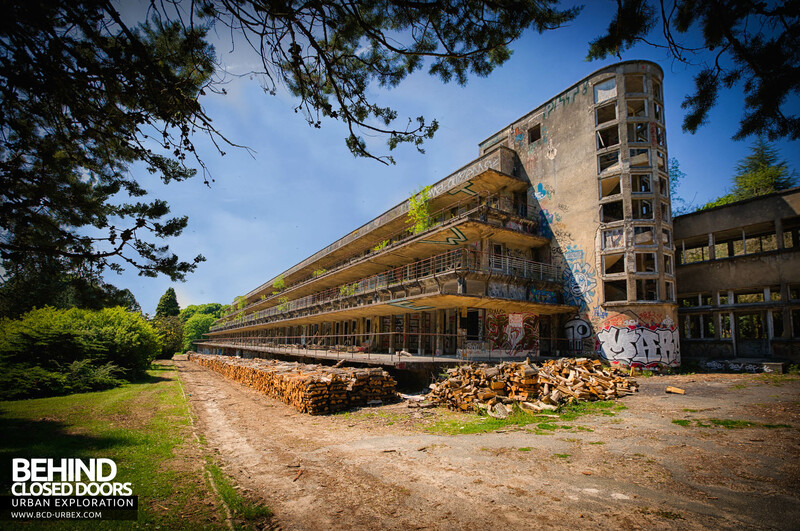 If you liked this report please check out Proj3ct M4yh3m's Sanatorium d'Aincourt report too.